This is hopefully a gentle journey for you to read and look through. It is one of the recent and more unusual commissions we have been asked to do. We are proud of every suit and shirt we make and as we say to all of our customers, ‘there are no rules – just preferences.’ A young gentleman in London asked us to make him a two piece tail suit for a special occasion and the photographs below are the journey we went through together with him. He bought with him a tail coat he liked. He wanted us to model his new one on this. This is the photograph of him wearing his ‘model’ coat. 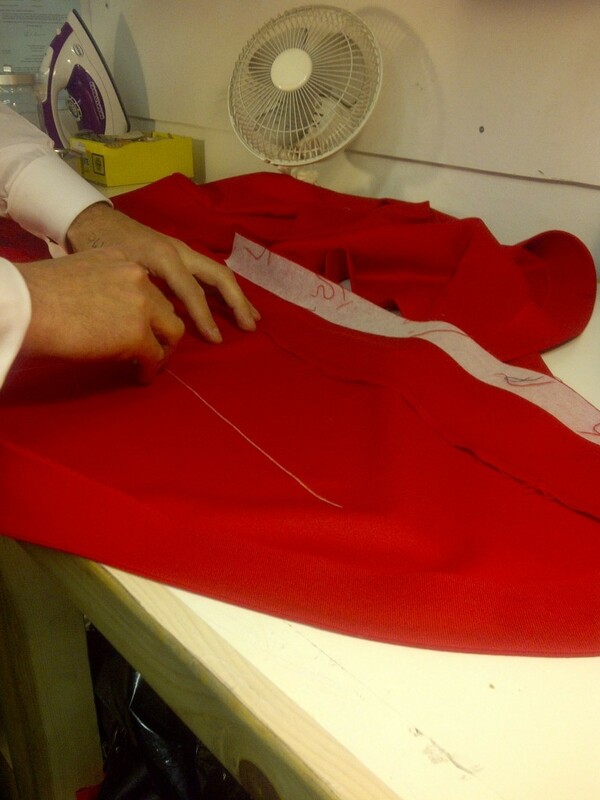 We went through the measuring and he choose a red fabric – for both the trousers and the coat itself. After he left, we ordered the fabric. It arrived the following morning. 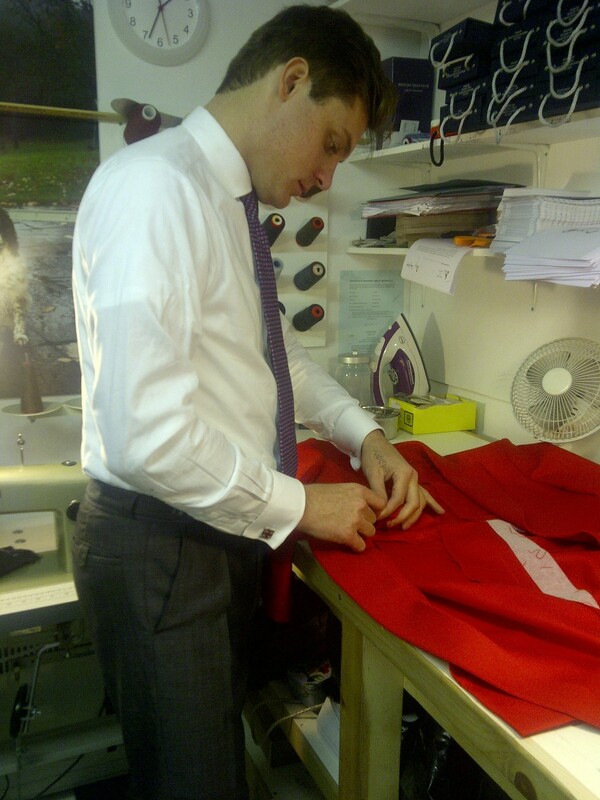 The fabrics we order are quick to arrive – we make our suits here (in England) and we use British fabrics. This fabric came from Taylor & Lodge. 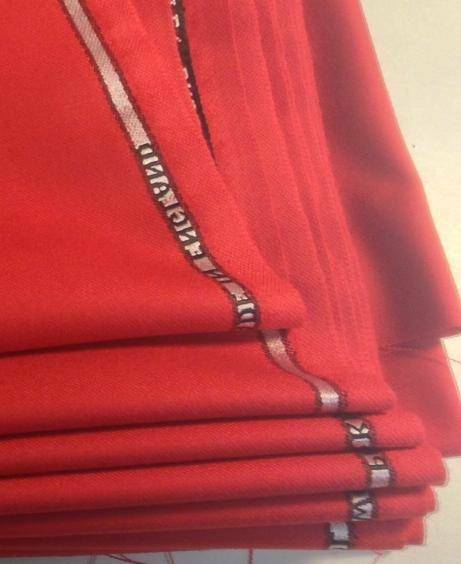 You can see this in the small detail on the ‘shelving’ of the fabric. 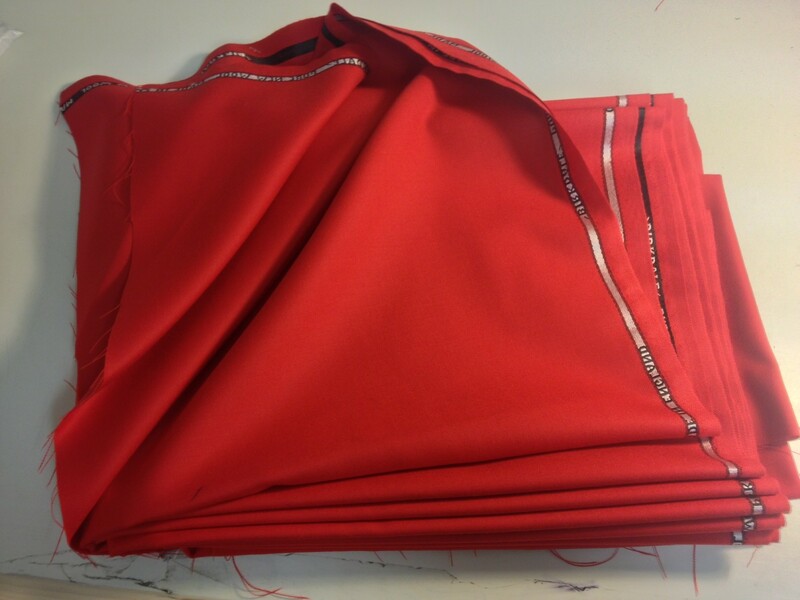 The fabric was cut and prepared for a basted fitting. 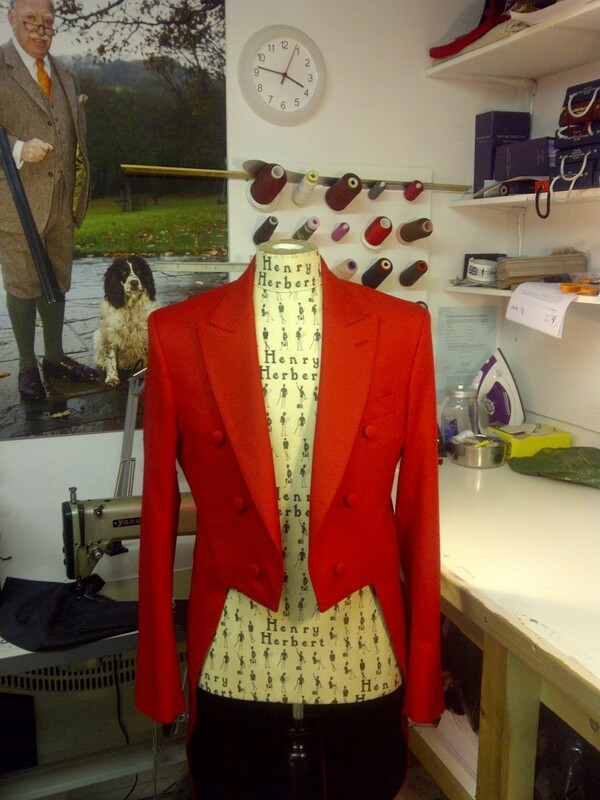 At the bastedfitting, we discuss with the customer the fit of the suit and how it can be tweaked to perfect the fit. 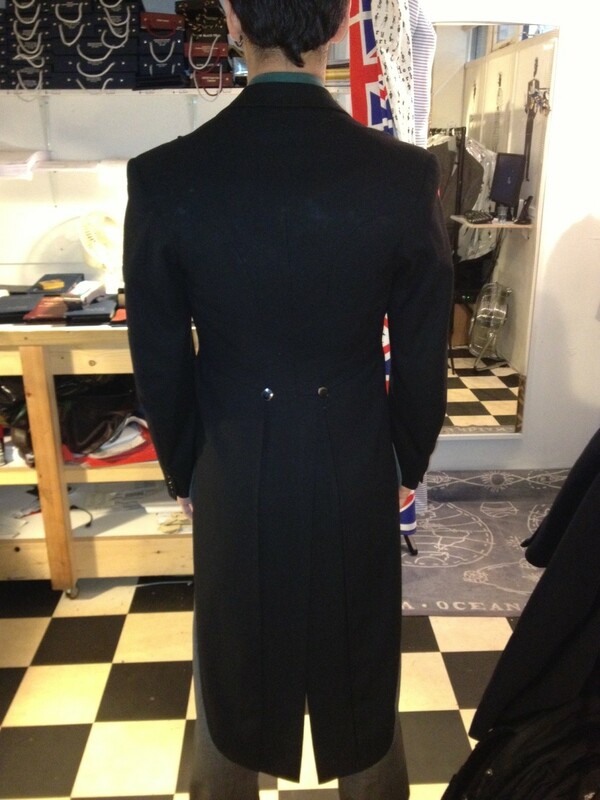 The tail coat is prepared on a mannequin ready for the arrival of the customer for the basted fitting. We wait with baited breath, watched upon by one of our customer’s overhead (a retired General holding his gun)….. The tails are finished and ready for the customer for his special occasion. 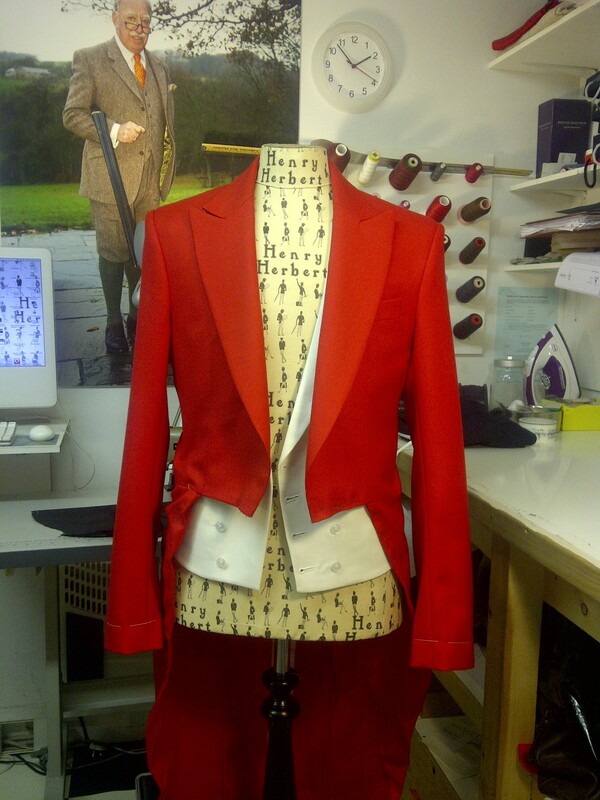 Red tailcoat for a men's red morning suit. 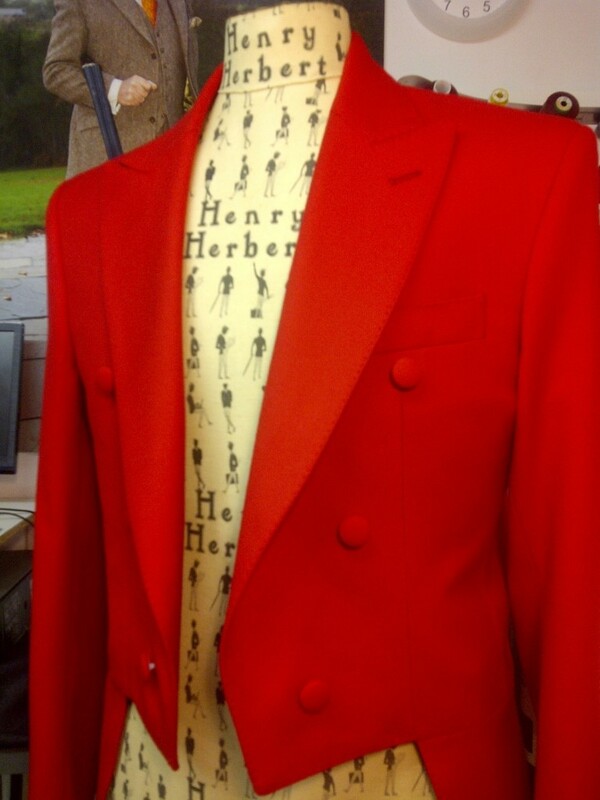 Buy a red morning suit tailcoat from Henry Herbert Tailors of Savile Row, by making your appointment by telephone on 020 78371452 or emailing us.